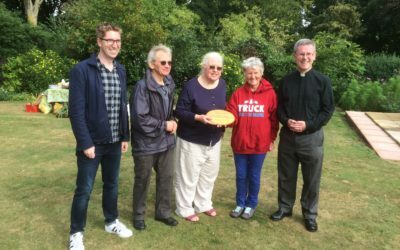 In 2015 Stowmarket parish, at the suggestion of the CAFOD+ group, took the decision to work towards becoming a Live Simply parish – and duly won the award in September 2016. On this page you will find more information about the campaign, and you can find much more on the CAFOD website. You will also find information about our study sessions on Pope Francis’s encyclical Laudato Si’ – probably one of the most genuinely readable documents to come out of the Vatican in years! – and support material for the individual sessions (see below). Here’s a questionnaire we put out to all the massgoers in our parish one Sunday – which yielded some very encouraging results. Feel free to copy or adapt it as you wish! Our second leaflet gave more detail about the Live Simply campaign and looked at what individual parishioners could do to contribute to it. Copies were distributed to everyone at Sunday Mass. Feel free to copy and adapt for your own needs. 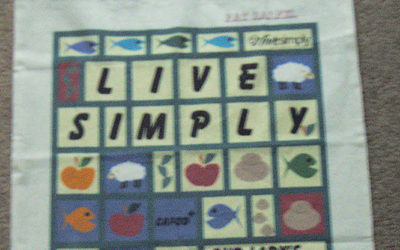 This was the first leaflet issued in the parish, explaining the aims of the Live Simply campaign and how members of the parish could help it to achieve Live Simply status. Feel free to copy and adapt it to your own needs.